Number of views: 2212 Address: 3, 28th Octomber str. 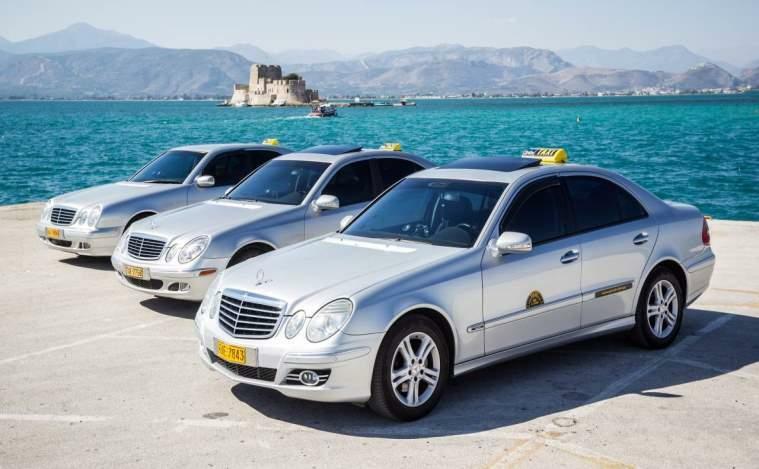 Greek-Taxi, Nafplion, Argolida, Greece is a family transport company offering taxi trips all over Greece to locals and tourists - short distances trips and long distance journeys with first class quality and economical prices. 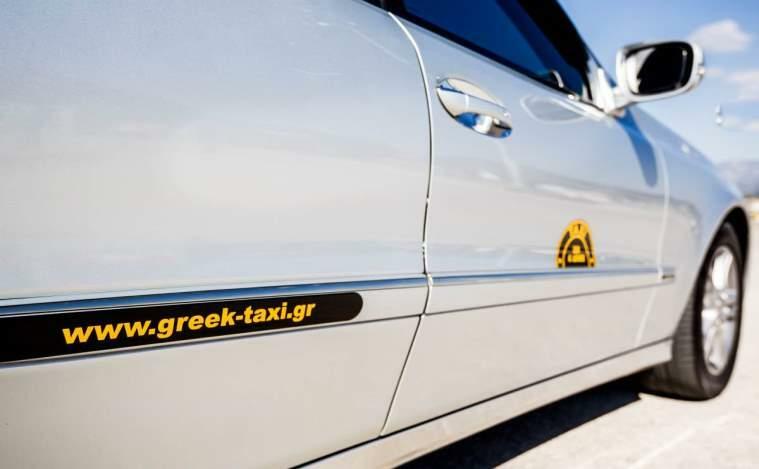 Greek Taxi transfers from Athens airport, Kalamata airport, Patras port, Pireaus port, to name but a few, are carried out in a professional, friendly manner and our drivers speak at least two languages (Greek & English). Transfers from any airport, port or train station in Greece is possible with Greek Taxi. Private taxi transport is very popular in recent years and all our team are dedicated to making your trip as comfortable and as memorable as possible. 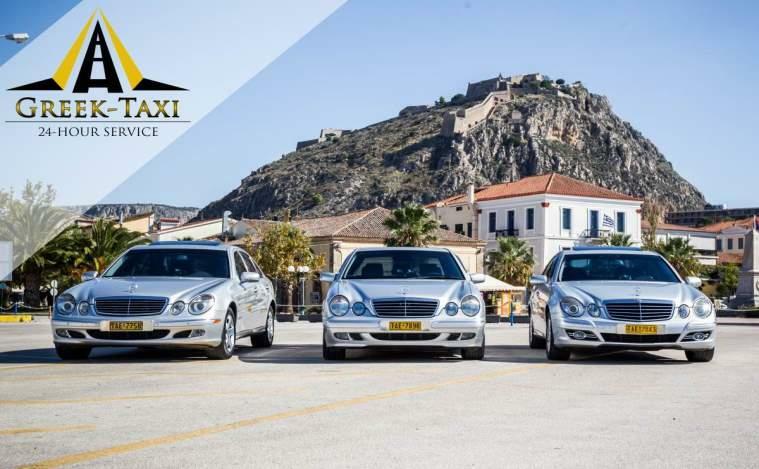 Our vehicles at Greek Taxi are kept in tip top condition, serviced more than regularly and our drivers are friendly and professional. We have many clients that return to Greece and on their arrival it is like greeting old friends, what better than to see a trustworthy, familiar face on your arrival into Greece. 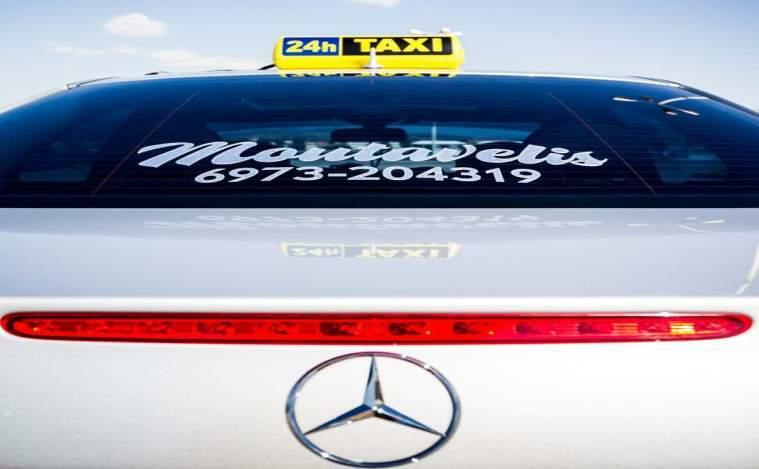 Our clientelle has been built up over a number of years and we are proud to say that, in addition to private clients, we have travel agencies, tour operators, hotels, organisations, local councils and many others preferring our taxi services. It would be our pleasure to meet you, call us for a quote for the transport service in Greece that you are looking to book and we will be pleased to hear from you. 3T Transfers Travel Tours Greece is based close to Nafplion, Argolida and is a family transport company offering minibus/minivan transfers & trips in our brand new Mercedes Vito 9-seater minibus all over Greece to locals and visitors - short distance trips and long distance journeys with first class quality and economical prices. Our 9-seater minivan carries 8 passengers plus our driver. 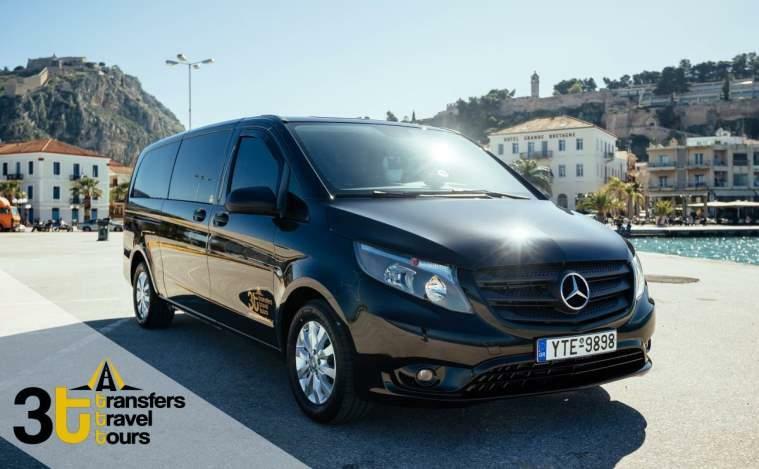 3T Transfers Travel Tours Greece minivan transfers from Athens airport, Kalamata airport, Patras port, Pireaus port, to name but a few, are carried out in a professional, friendly manner and our drivers speak at least two languages (Greek & English). Transfers from any airport, port or train station in Greece are possible with 3T Transfers Travel Tours. 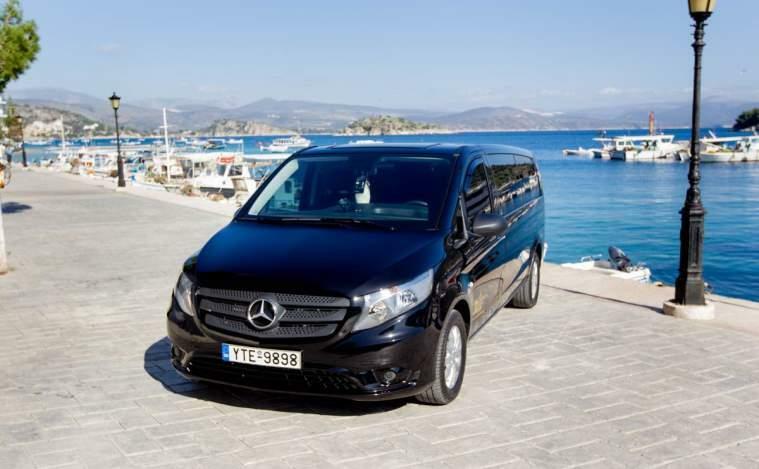 Private minivan hire for transport to the local archaeological sites of the Peloponnese and minibus hire with driver are very popular in recent years and all our team are dedicated to making your trip as comfortable and as memorable as possible. With Nafplion being a port of call for many cruise ships such as Costa Cruises, Voyages To Antiquity, Crystal Cruises, Holland America Line, Oceania Cruises, Silversea Cruises and many more we also specialise in shore trips and we are able to customise a shore trip to suit your needs and the time that you have ashore in Nafplion Our vehicles at 3T Transfers Travel Tours Greece are kept in tip top condition, serviced more than regularly and our drivers are friendly and professional. 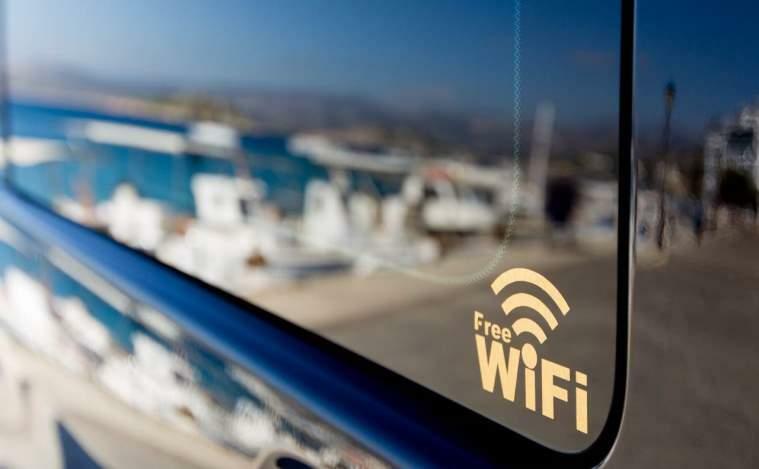 We have a fridge on board and we offer chilled mineral water free of charge for the duration of your journey and a free WiFi connection for use with your smartphone, laptop or tablet. We have many clients that return to Greece and on their arrival it is like greeting old friends, what better than to see a trustworthy, familiar face on your arrival into Greece. 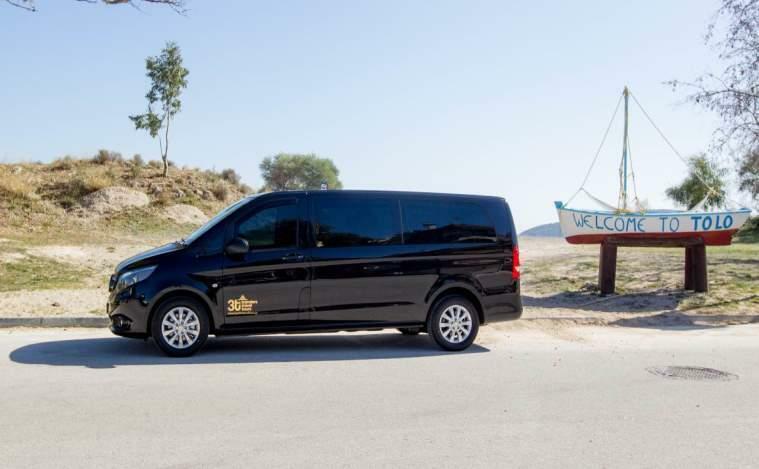 Our clientelle has been built up over many years of experience through our sister company greek-taxi.gr and we are proud to say that, in addition to private clients, we have travel agencies, tour operators, hotels, organisations, local councils and many others preferring our minibus, minivan & taxi services. 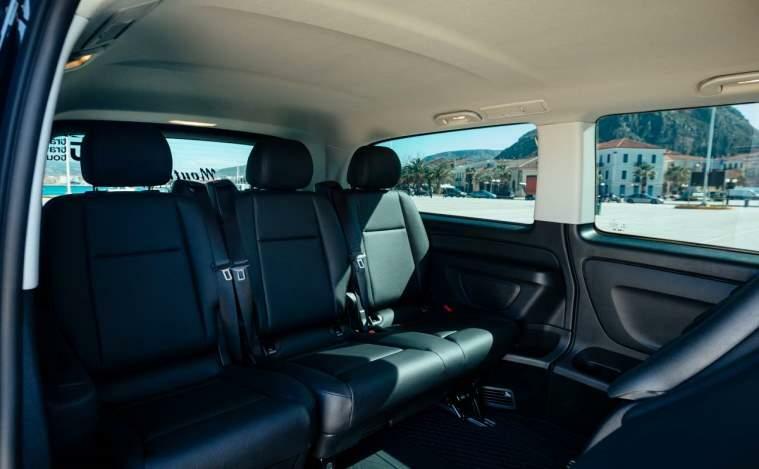 It would be our pleasure to meet you, call us for a quote for the minivan with driver service in Greece that you are looking to book and we will be pleased to hear from you.